The Keto Diet has been making headlines as celebrities publicly argue over it through social media. So exactly what is the ketogenic diet? And what exactly is good or bad about it? Now I know that the Keto Diet is very trendy at the moment, but popularity certainly doesn’t mean an automatic stamp of approval. And as many of you know, I am not a “diet” fan but let’s put that aside for now and look at what the science says. 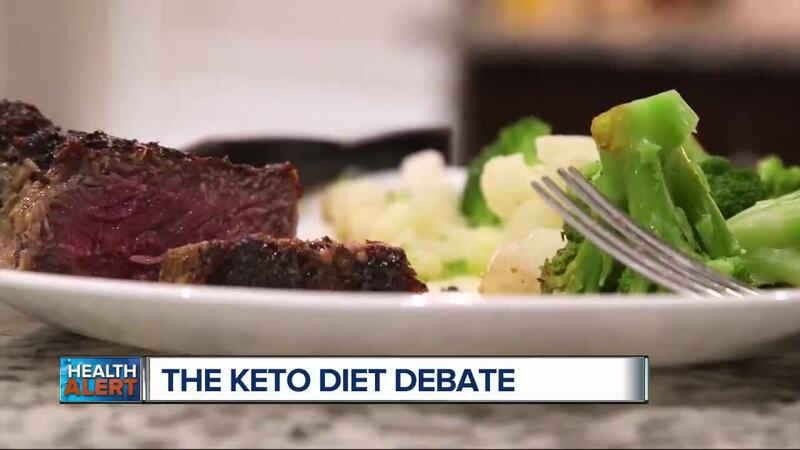 (WXYZ) — The Keto Diet has been making headlines as celebrities publicly argue over it through social media. So exactly what is the ketogenic diet? And what exactly is good or bad about it? Now I know that the Keto Diet is very trendy at the moment, but popularity certainly doesn’t mean an automatic stamp of approval. And as many of you know, I am not a “diet” fan but let’s put that aside for now and look at what the science says. What you might not know is that the Keto Diet is actually prescribed by medical professionals to a select few who suffer from epilepsy. It’s usually to children who don’t respond to seizure medications and they are closely monitored by dietitians. Now the Keto Diet is a high-fat, low carb diet - 80% of calories come from fats. And by cutting back on carbs, your body starts a metabolic state called ketosis. And this burns body fat. Now looking at research, studies found low-carb diets tend to do better than low-fat diets when it comes to dropping weight. And the Keto Diet is no exception, it can lead to short-term weight loss. Now the downside is that you allowed to eat protein that’s high in saturated fat, such as beef, pork, and bacon. And too much saturated fat can increase your bad LDL cholesterol. And that’s linked to heart disease. Don’t fall for trendy diets. Too many people pack the pounds back on once they return to your old eating habits. Reduce your portion size and eat till your two-thirds full. Also, drink 60 ounces of water a day, and skip energy drinks and soda. Cut out processed foods. Instead, fill your plate with plenty of vegetables. And chose real foods, ones that are closest to their natural state as possible. Eating healthier overall, and not depriving yourself will not only help you lose weight in the long run, but you’ll feel great too.